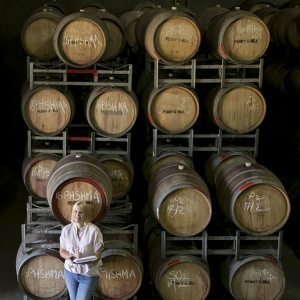 Alexia Roberts, winemaker for Penny’s Hill wines, has risen to stardom over the last couple of years as her wines have taken out awards all over the world. Perhaps the most notable is that she collected the trophy for ‘Best of Show – Australian Red’ in two consecutive years at the esteemed 2016 & 2017 Mundus Vini Grand International Wine Awards in Neustadt, Germany. Wow. This #winechick is pretty darn fabulous indeed. Plus, did we mention she’s super nice? She and her young family live in McLaren Vale near the vineyards she is responsible for. This is her story. In 1998, I undertook some work experience at the Penfold’s winery in Nuriootpa. I was lucky enough to be able to tag along with the winemakers for the week and instantly fell in love with the notion of a career in winemaking! I’ve been very fortunate with my winemaking career. After a vintage stint in the Barossa, I landed a full time winemaking position in McLaren Vale in 2004 and have been here ever since! I love this region, its diversity and of course the wonderful McLaren Vale community. I have also completed vintages in Emilia Romagna in Italy (2006) and Burgundy in France (2010) during this time. You are Group Winemaker at Penny’s Hill. Can you tell us the story of why, when and how this happened? I started in this role in 2013, with the 2014 vintage the first to bear my stamp from berry to bottle. I saw this position as a unique and incredible opportunity to expand my winemaking knowledge and craft and to be heavily involved in all aspects of the business. It was an opportunity too good to pass on and I’ve loved every moment of this journey and the wonderful and dedicated team that I work with. What is the philosophy behind Penny’s Hill? Our Penny’s Hill estate grown wines are made to reflect the terroir of each site. I work closely with our vineyard team to ensure our vines and canopies are healthy and fruit is produced to the highest level of quality. During harvest time, I spend a lot of time in the vineyards; walking, observing and tasting fruit to ensure each parcel has optimum flavour, balance and ripeness before picking. Each fruit parcel is harvested separately and these small batches are individually nurtured throughout the entire winemaking process. All wines are matured in the finest French oak barrels and are barrel selected prior to blending. What grape varieties do you make wine from at Penny’s Hill? And where are they sourced from? Penny’s Hill is an estate grown McLaren Vale producer and we pride ourselves in growing premium fruit that is best suited to the region and climate; Shiraz, Grenache, Cabernet Sauvignon and Merlot. These varieties have a lot of history in this area and we believe they will still be our regional heroes in decades to come. We own 105 acres of vineyard across three distinctively different sites which gives us the capability to produce wines with from single vineyards, showcasing the depth and diversity of this wonderful region. Our white wines are sourced from single vineyards in the Adelaide Hills which is within close proximity to McLaren Vale. Higher altitudes and cooler night time temperatures ensure whites with great natural acidity, varietal expression and freshness. Definitely Shiraz. We have three Shiraz wines in our range, all produced from different sites. I love to learn from these parcels as each year the vintage and growing conditions change so I need to adapt my winemaking accordingly. I am extremely proud of these wines, their generosity, elegance and refinement as well as their solid reflection of our terroir. I absolutely love my job and the diversity of it. My colleagues often joke that they can tell my daily whereabouts by my footwear. If I am dressed with “work boots” its serious stuff, either walking vineyards or spending time in the winery, or a combination of both. 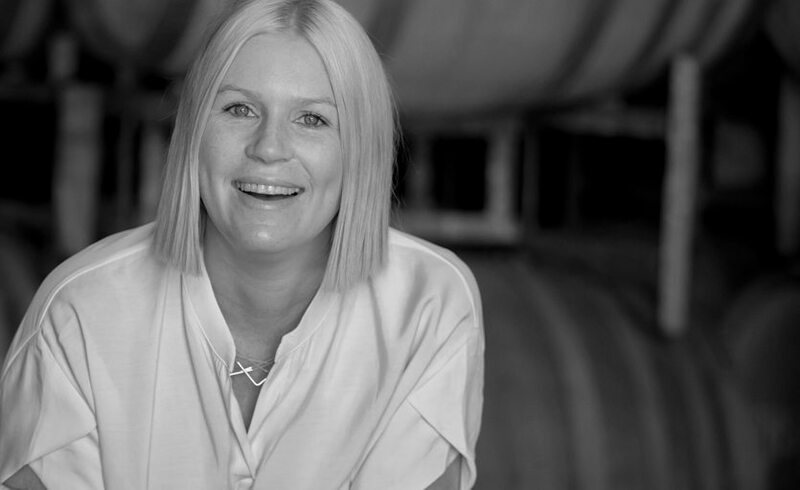 The “flats” often mean a day in the office catching up on emails and desk work and the “heels” are always a lot of fun…this involves a tasting or dinner with sales teams or consumers, talking about wine, McLaren Vale and all things Penny’s Hill! Working overseas as a winemaker exposed me to various new techniques and varieties as well as opportunities to learn and grow in my profession. However the most important influence of all was working closely with Italy’s great winemaker Cristina Geminiani who taught me that all great wines begin in the vineyard. She taught me to understand the vineyard and the differences within it, to respect the site and to gently nurture the fruit throughout every stage of the winemaking process. A great bottle of Champagne and some freshly shucked oysters. When pairing food and wine you need to try and balance the flavours of the dish with the flavours of the wine. For example, a rich and flavoursome dish will need a rich and flavoursome wine to match, whilst a light and acidic dish will need a wine with plenty of acid to find that perfect balance. Not really, although because female winemakers are a minority I am often assumed to be the Sales or Marketing Manager. This is very frustrating…never assume never presume. I’m not convinced that women think or talk about wine differently to men. I think that variance comes from the personality of the individual. However, I do believe that generally women are more organised and have a more structured approach compared to most males. I guess that could be advantageous when organising vintage logistics, especially in a compact harvest! Try lots of different varieties and wine styles and remember to keep an open mind when you are tasting something new. Think about the key elements: balance, intensity, complexity and length, but most importantly, trust your own judgement. We love your support! Thank you for engaging with our brand, our stories, our passion and our people. We love any opportunity to whack on the heels and meet our wonderful supporters (that’s you!) so please keep up the great work of following your favourite producers. Be alternative. Win an alternative wines prize pack from ArtWine.